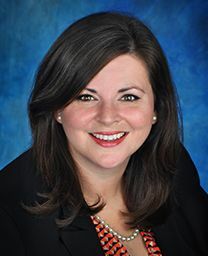 Ms. Walsh’s work focuses on defending companies and insurance carriers in her Louisiana general civil litigation practice including personal injury/wrongful death defense, insurance coverage, healthcare liability, professional liability and premises liability. She received a Bachelor of Arts degree in 2000 from the Millsaps College in Jackson, Mississippi where she studied Political Science and Classical Studies. Following that, she spent nearly five years in New York City working for a disaster restoration firm. Ms. Walsh returned to Louisiana in 2004 to attend Louisiana State University’s Paul M. Hebert Law Center. During her time as a law student at LSU, she spent a summer studying law at the Universite’ Jean Moulin III. She received a Juris Doctor and Bachelor of Civil Law in 2007. Ms. Walsh was admitted to the Louisiana State Bar in October 2007. She is a member of the New Orleans Bar Association and the Louisiana Association of Defense Counsel. Admitted to bar, 2007, Louisiana.